TEHRAN (Tasnim) – Studies suggest consuming three dates per day over a consistent period can have positive health effects. Dates, although high in calories, contain a solid dose of fiber, vital nutrients, and antioxidants. Studies have shown positive health effects after consuming three dates per day over a consistent period, Fit and Nutrition reported. So, what’s in a date that could change your life? Below are the 10 things that will happen to your body if you have 3 dates a day over a long period of time! To keep your digestive tract moving, you need fiber and dates provide a healthy shot of it! Regularly dosing your body with fiber helps maintain a healthy digestive system, encourage regular bowel movements, good stool consistency, and prevent constipation and hemorrhoids. They may be small fruits but they’re big in benefits! The US Department of Food and Nutritional Sciences found that dates treat and improve colon health as their properties promote good bacteria growth. This inhibits the development of cancer cells in the colon. Beneficial foods like dates keep the colon free from harmful bacteria. Being high in antioxidants, a daily dose of dates, combined with a healthy lifestyle, can help prevent numerous diseases. Antioxidants safeguard against free radicals that could be destructive to your body’s cells and cause disease. When compared to figs or plums, dates win the category for highest antioxidant content. Unfortunately, we cannot stop the clock in life because getting old is a very natural and normal process; however, we can strive to do so gracefully. It’s a big challenge to slow down the aging process and overcome the wrinkles and grey hair so pop a few dates for some anti-aging help! The carotenoids in dates maintain healthy skin and encourage cell regeneration to prevent acceleration of the aging signs. Promote brain health by consuming dates! Their Vitamin B6 content helps produce serotonin and norepinephrine, which helps improve brain performance. Serotonin plays a huge role in balancing moods and norepinephrine assists your body in coping with stress. Taken together, these effects improve your brain’s ability to learn and absorb information. Sugars such as sucrose, fructose and glucose are natural sources of energy and they can be found in dates. The fruit also contains magnesium, potassium, and fiber, all of which help you maintain sufficient energy levels. Remember this next time you reach for an energy drink loaded with manufactured ingredients which will provide the energy spike — but also a sugar crash! Potassium in dates can help lower bad cholesterol (LDL) and prevent blocking of your arteries, which could lead to a fatal stroke or heart attack. In fact, one study found that the higher the potassium intake, the lower the risk of heart problems. Most of us know that too much salt (sodium) can contribute to high blood pressure and potassium promotes the excretion of sodium and excess water, while regulating blood pressure. Dates have a negligible sodium content and yet are rich in potassium – a lot of goodness in a small-sized fruit! Having 20/20 vision doesn’t mean you don’t have to exert and strain your eyes in poor light. The reason most of us have to do this is because of low Vitamin A levels. The B vitamins and Vitamin A found in dates help preserve optimal light-filtering in the retina and guard against macular degeneration. Dates are truly a functional food loaded with vitamins, minerals, and phytochemicals. To add to the list of nutrients, calcium and Vitamin K are both present – they support bone mineralization, as well as blood clotting. 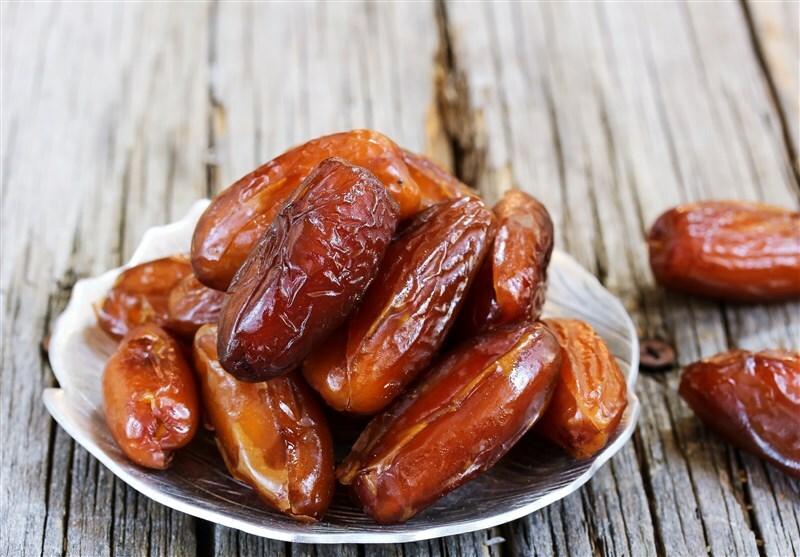 Because dates also contain magnesium, they help boost the bone tissue structures as well.